Here is another portrait that I finished for a client in time for Christmas, though there are still a few post-Christmas portraits to do as well. 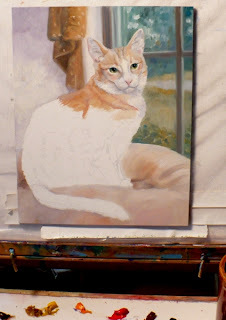 I did this painting of a cat on panel at 10"x 8" size. It was especially enjoyable to paint this soft kitty against a softly-colored background. 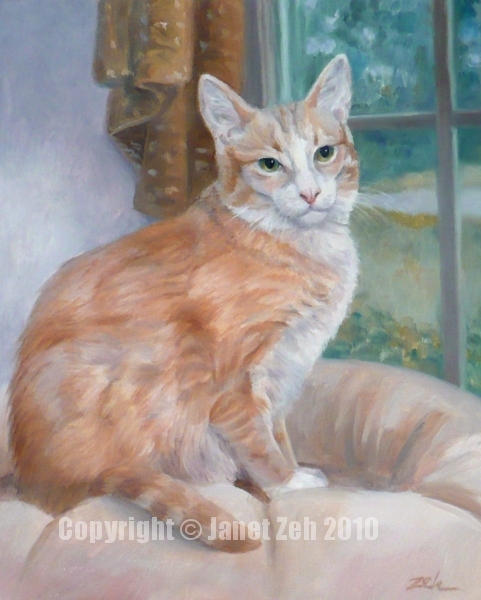 She enjoys sitting on a cushion and looking out the window, so I placed her in that environment to do the portrait. 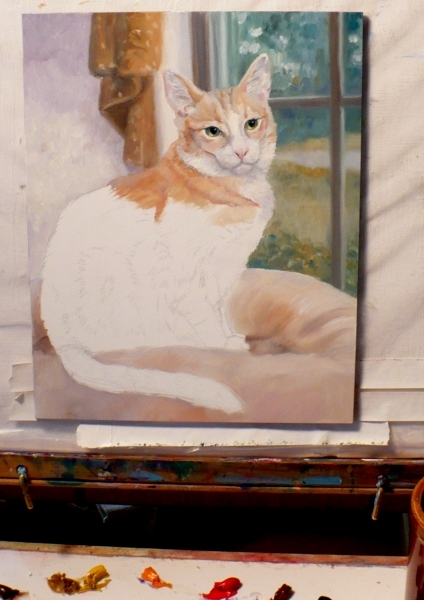 Here is the background painted in and the beginnings of the cat's fur. It always makes such a big difference once the eyes are painted. She has such beautiful green eyes. 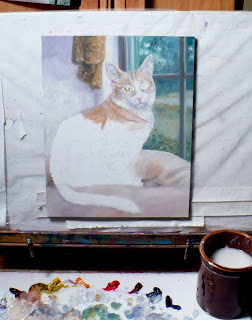 I have extended the curtain above her so that it visually connects rather than leaving it as a disconnected entity at the top of the painting. 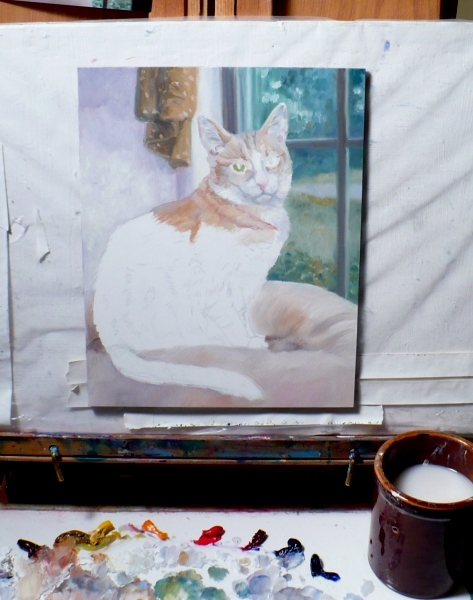 In the finished piece below, you will see that I enlarged it further and darkened it behind her so that she would stand out more from the background. Here is Mosa's portrait finished. The client told me she is a sweet and loving cat. She does look sweet, doesn't she, as if she's waiting for you to pet her? Wishing you the best of health and happiness in 2011 !